We currently have a massive sale with a further 20% OFF all stock beds. Call or visit our showroom in Blackpool and we can arrange delivery to your door. We deliver to Cleveleys, Fleetwood, Poulton, Bispham, Thornton, Lytham, St Annes and surrounding areas. When everything else about Christmas is stressfull, what you really need is a great night’s sleep to drain the stresses of the day away. Sleep easily in the knowledge that you have bought from a company offering the best price on the Fylde Coast with savings you can only dream of. 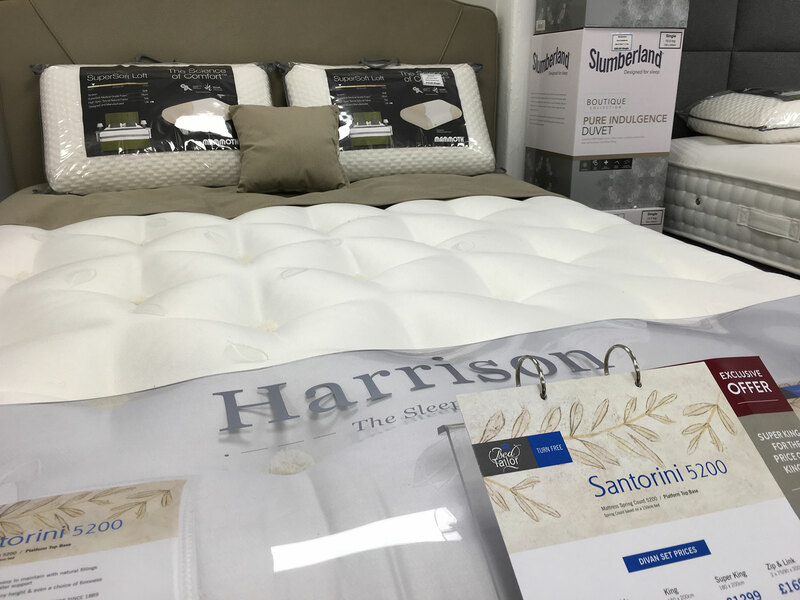 The sale includes Harrison beds and mattresses, a company that’s renound for producing bespoke tailor made solutions to suit your needs. Find out why these beds are so popular by visiting their website, but remember to come back to us for the best prices around and that’s a promise! This special offer is available for stock beds only so make sure you don’t miss out. Come and speak to our professional and helpful staff who will make sure you ge the best bed to suit your needs.